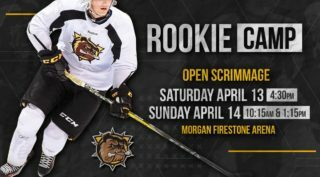 Rookie forward Kyle Jackson scored the first two goals of his OHL career in his eighth contest, helping the North Bay Battalion take a 7-2 win in Peterborough. Jackson’s first came unassisted on an outstanding solo effort as he split the Peterborough defence before beating Hunter Jones on a move to the forehand with 3:19 left in the second period. Jackson teamed up with veterans Justin Brazeau and Matthew Struthers for his second 3:46 into the third. The 16-year-old from Ottawa, Ont. 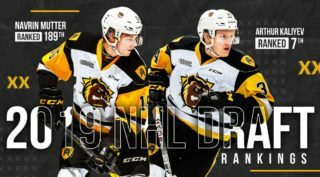 has three points (2-1–3) over eight games with the Troops this season after being their third round pick in the 2018 OHL Priority Selection. The Toronto Red Wings Minor Midget graduate has appeared in 30 games with the Ottawa Jr. Senators Jr. A team this season, recording 25 points (11-14–25) in the process. 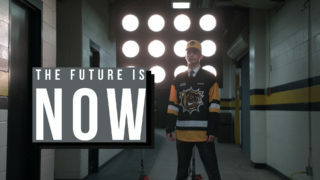 Hamilton Bulldogs rookie Zachary Roy turned aside 25 shots for his first career shutout on Friday, helping his club blank the visiting Kingston Frontenacs 4-0. Roy improved to 12-10-1-1 with a 3.25 goals-against average and .900 save percentage over 24 games as a 17-year-old. The Callander, Ont. 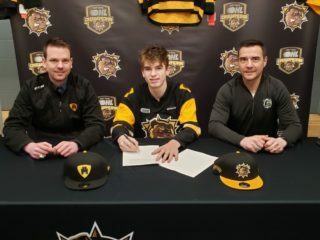 native and former fourth round pick of the Bulldogs in 2017 is perhaps best known for his standout performance at the 2017 OHL Cup powered by Under Armour where he backstopped the Toronto Nationals to a spot in the championship final. Roy spent last season with the CCHL’s Rockland Nationals Jr. A club, posting a 3.22 goals-against average and .898 save percentage over 23 games.